It's a big deal! Our baby's crib! We bought our baby girl's CRIB! This is a very big deal. I have put a whole lot of thought, time and energy into making a final decision on what crib to purchase. Many people might not think that it's that big of a deal. To me it was. I was very unimpressed with the cribs that we saw at your standard Babies R Us and Buy Buy Baby. I was even surprisingly unimpressed with the selection available at Pottery Barn Kids and The Land of Nod. Through searching sights like Project Nursery and On the go baby, I came to the realization that the types of cribs that caught my eye were Designer Cribs. Designer Cribs = Ridiculously Expensive Cribs. I found a store called From Cribs to College, that carried all designer cribs at what they marketed to be discounted prices. 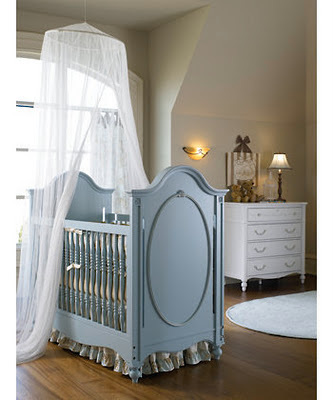 I don't know about you, but I don't think of a $1,000+ crib as being a discounted price. On our 1st trip to From Cribs to College, I found a crib and dresser that really caught my eye for the bargain price of $3,000 for just the crib and dresser. Pretty amazing right! I'm not one to make an impulse buy, especially while having pregnancy brain, so we left the store and I gave myself time to think about it. Patrick wasn't wild about the crib or the price. If we got the crib, we had to have the dresser also. Separating the two just didn't seem right. After more research and another trip to see the crib, I decided against it and moved on to another designer. Meet my next idea. This is the Young America brand. On my 2nd trip to From Cribs to College, we met. There were 2 different styles of cribs that I debated over, and I had to have the dresser and most importantly the armoire. This line comes in multiple designs, I love the Ma Maria and the Isabella, and over 20 colors and finishes. Patrick was not with me on trip 2, so a 3rd trip was in order. So on our 3rd trip, I'm 30 weeks pregnant at this point, we spent 2hrs. walking the store and finally making a decision. It was a done deal. 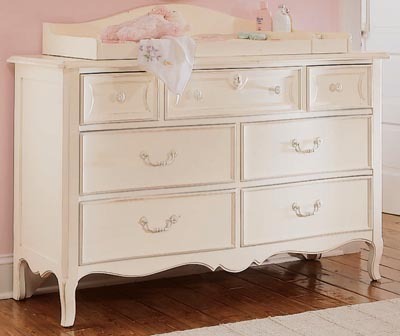 The sales associate started to write up our order and guess what, my dresser, which was Ma Maria, and my Crib which was Isabella, did not come in the same shade of white! Are you kidding me! The armoire came in both shades. This is just wrong. Then she tried to convince us to pick a neutral color like lime green or yellow. Really! My feet were swollen, my face was burning up and my constant indigestion was about to come up on the showroom floor. Trip #3, a disaster, and our final trip. At this point, I'm so over crib shopping. Also, these crib's take 9-12 weeks to come in and guess what, this baby is coming in less than 9 weeks. Now I'm ready to buy any crib I'm so frustrated. We went back to babies r us and buy buy baby and I was so close to going with a floor model, plain, boring, white crib that was on sale for $250. I couldn't do it, and I'll explain why. Baby #1 is a girl! As much as she acts like Patrick while in my belly, I like to think that she will have some of my personality. I'm emotional, maybe sometimes overly, but certain things mean a lot to me. I come from a small family, and I do not have many family heirlooms or traditions. I still drive past my childhood home on a regular basis and tell myself if I ever see a for sale sign that it's mine. As challenging as this pregnancy has been at times, I still want to have 4 babies. I want to build family traditions and have family heirlooms to pass down through the generations. I want to have a timeless, elegant and well made crib that all of our babies will be in and maybe even someday our grandchildren will sleep in also. 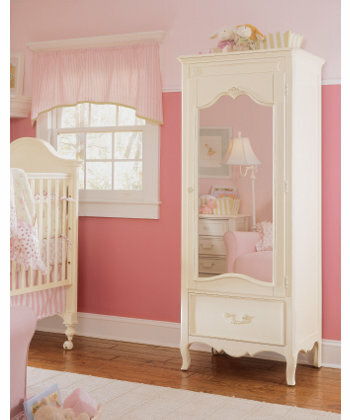 So the other day I just happened to come across a posting on the On The Go Baby Blog http://www.ontobaby.com/2011/10/feminine-sophisticated-pink-nursery/ (thank you Jessica). It was a beautiful nursery that had a similar look and feel as ours. Her Wrought Iron Crib really caught my eye. It's timeless, elegant and made of Wrought Iron which will hold up much better than wood. I didn't have to worry about baby teething bite marks, or Ellie-Mae's nails destroying the crib. 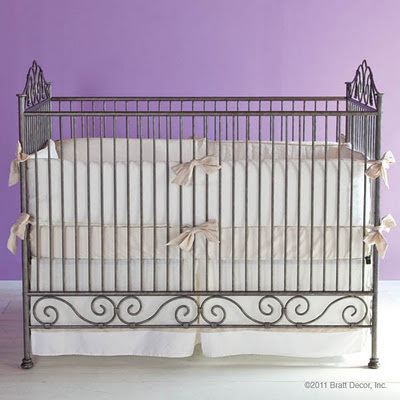 Now I was on a mission to find the perfect wrought iron crib. 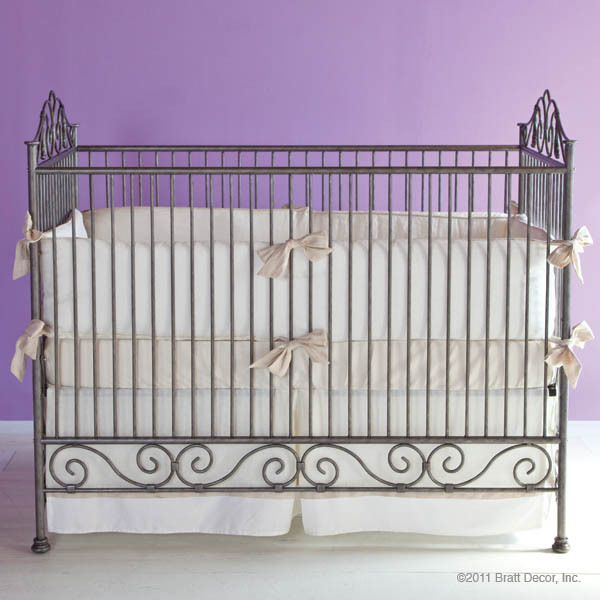 I found a designer, Bratt Decor, that I loved and contacted them about stores in the area where I could find their cribs. As soon as Patrick got home from work, we were out the door and on our way to Beautiful Beginnings, a super fancy baby boutique in Oakbrook to see the crib. It was freezing cold and pouring rain, not ideal for Oakbrook. We were able to find a great parking spot, but had to walk 3 flights of stairs to get to the store unless we wanted to get soaked walking to the elevator. I was so excited that 3 flights of stairs at 31 weeks pregnant in the pouring, freezing rain seemed perfectly fine. I was wrong! 1st flight, not to bad, just a little winded, 2nd flight, "wait I can't catch my breath", 3rd flight " why can't I lift my own legs anymore". Patrick and I both found this all very entertaining, but seriously it was ridiculous that I could no longer walk 3 flight of stairs. We made it to the top and the store was in our sight. I tried my best to get myself together so I wasn't a total mess when we walked in the door. Patrick opened the door and there it was, OUR CRIB! It was love at first sight. The easiest decision that we had ever made. Who cares what the price tag says.